You are moving on to round three of the interview process. You haven’t quit yet, nor have you embarrassed yourself beyond repair, so that says something. What exactly does it say? It says you still have a lot to prove before I’m ready to make a decision. I often say you can judge a person based on the purse they carry. A sloppy bag shows the world that you are a disheveled mess, very likely in need of group therapy. A matronly purse says you are uptight, humorless and quite possibly spending your nights alone, with only your cat for company. But the right bag represents you better than any other accessory can. The right bag reveals the best aspects of your personality, winning you affection and admiration wherever you go. Post a photo on your blog of the bag that best represents you and tell your readers why this purse conveys the very essence of who you are. Then ask your readers to share the bags that best represent them here and mention the name of your blog. And remember—choose carefully. An expensive purse might reveal that you are really just a shallow tart. A cheap purse might reveal that you are a miserly malcontent. To make it to the next phase of the interview process, you will need to convince me that you are an interesting person with a unique point of view. If you’re just another sheep following the masses, you’ll stay in the barnyard where you belong. Watch this video for additional inspiration into this phase of the interview process, and make sure your readers get a chance to watch as well. It may sound easy to simply choose a bag and photograph it and post it on the blog, but I hemmed and hawed over this for quite some time. My mom's Gucci bag has a lot of sentimental value to me, but it is falling apart and I only use it when I need a large bag and I don't care if it gets scuffed up. My little Louis Vuitton pouchette means a lot to me, too. It was a graduation gift from my mom and her best friend and was my first (and only) new-to-me, "grown up" bag. Also, I recently bought a rubber chicken purse on South Congress that I think is hilarious, and I have a great collection of tiny, vintage clutches that I've scoured from estate sales and resale shops, and I really like those, too. Although some of these bags are nice and some are funny and some were excellent thrifting finds, none of these bags "convey the essence of who I am". 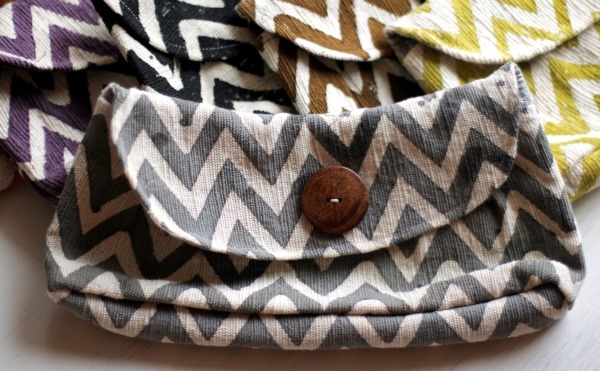 So after really, really thinking about it, I came to realize that the bag that best conveys who I am (especially my shopping philosophies) right now is the Purse and Clutch charming chevron clutch. I got the chocolate brown one today but only because the gray was all sold out (the one I photographed had just been ordered). In June of 2010 Mel Murray and her family packed up and moved to a little town in the mountains of northern India to assess business needs and opportunities in the community. It was there that JOYN was born, a company with a vision to connect the poor with Western markets. You get beautiful handmade home furnishings and accessories, and the people of northern India have the joy of working in a great environment and providing for their families. It’s a relationship where the joy flows both ways. Our passion is for people. One of our favorite things to do is to spend time daily with the artisans who make our products. In the summer of 2010, Mel began working with local cooperatives, training them in developing products for Western Markets. [The JOYN teams builds] relationships with local entrepreneurs and artisans. An amazing local woman has started a vocational training center for battered and abused women – these women stitch all of our bags and make our jewelry. 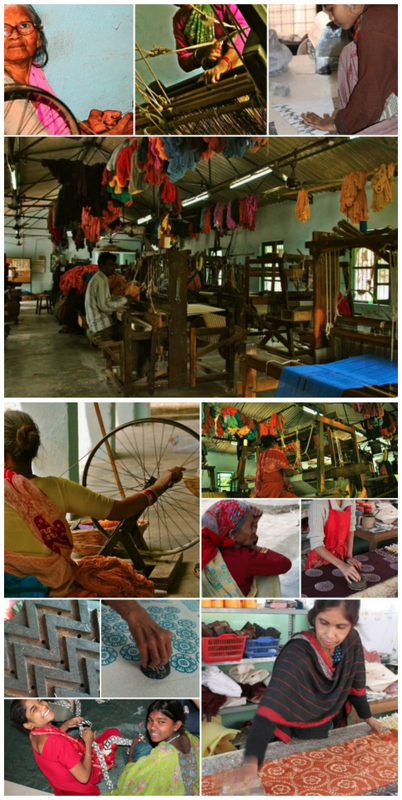 A local cooperative was formed for those affected by leprosy, they hand weave all of our incredible cotton fabric. A beautiful 70 year old artisan who has a passion for helping people and keeping traditional Indian art alive, has allowed us to build up her block print shop and create more jobs. Each day we get to give a hug, a smile, a word, a job. That’s why we do what we do. While it's no orange ostrich Birkin (like the one Gray Chandler Murray gives Jane) Mel Murray at JOYN and Jen Ardill at Purse and Clutch have introduced me to a bag that packs a whole lotta heart and one that I'm proud to carry daily. If you have a favorite bag and you want to share that with Jane By Design, please go to their Facebook page and tell 'em all about it and mention that Adored Austin sent you. One reader from the winning blog will be featured on the ABC Family page, so if you want in on that action, FB away. Three challenges down, four to go! After the series premiere on Tuesday, January 3rd, we'll be back to our regular content. I don't know about you guys, but I'm really appreciating this challenge during this busy holiday season. It's helping me come up with fun and fresh blog content, and it's encouraging me to think outside the box. Thanks for supporting me so far. 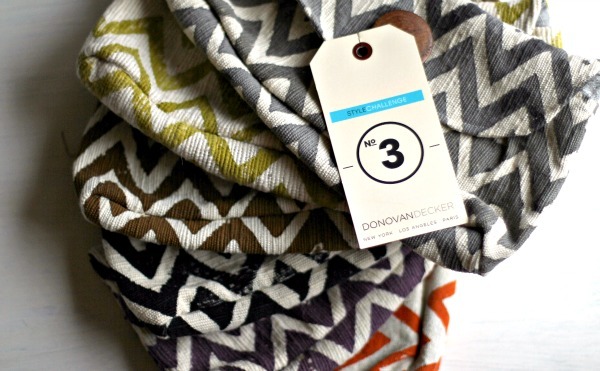 I am so excited to still be in the running for a blogger position at Donovan Decker. I agree that a person's bag says a lot about them. 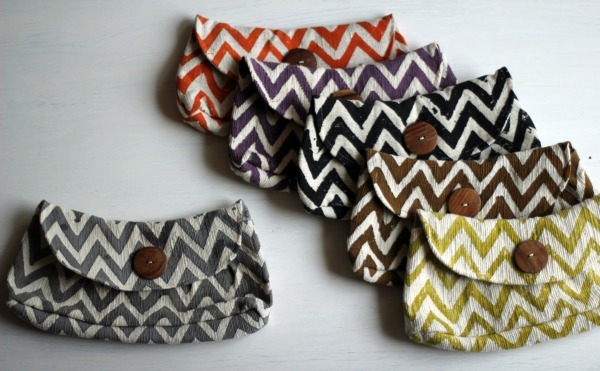 I hope that by choosing a Purse and Clutch charming chevron bag to represent me, you'll see that I'm a blogger who isn't (in your words) "just another sheep following the masses". Since you travel a lot, I'm sure you've witnessed, first-hand, the impoverished conditions of northern India. By purchasing a Purse and Clutch bag, I'm helping to lessen the hold that poverty has on a group of local artisans and women there. Plus, isn't it the cutest thing, ever? If I get the job, you can borrow it whenever you'd like.